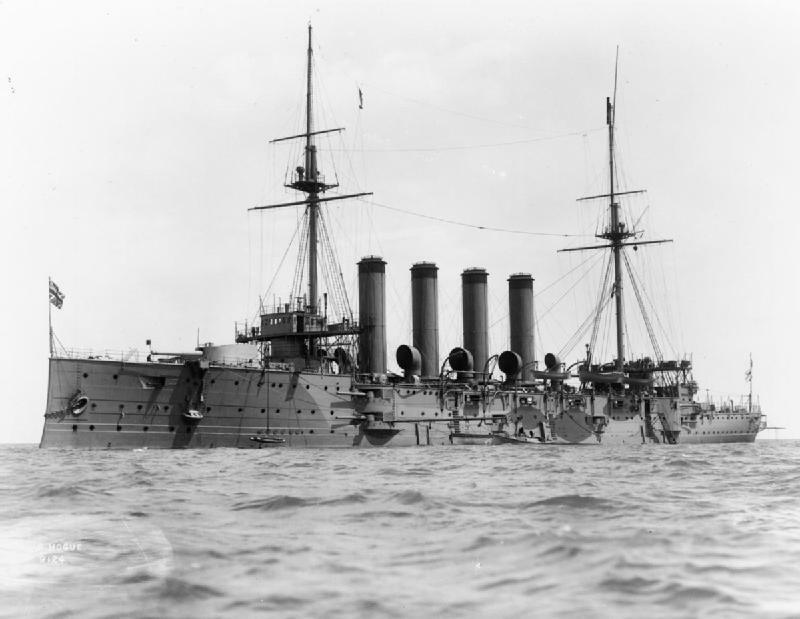 Exactly seven weeks into the First World War, the action of 22nd September 1914 saw three large but old British Royal Navy cruisers, manned mainly by reservists and referred to as the Livebait Squadron, sunk by just one German submarine while on patrol in the North Sea. 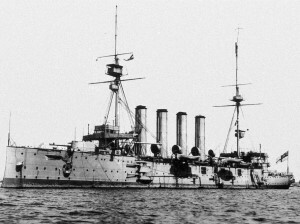 In all 1,459 men were lost off the Dutch Coast, on the three ships HMS Aboukir, HMS Cressy and HMS Hogue. Of these, at least 31 men had connections to Ulster, most of them Stokers and three quarters of them part time reservists. Their average age was only 27 years old. 30 Ulstermen are buried at sea, with only 1 Ulsterman with a known grave. The cruisers were part of the 7th Cruiser Squadron, which was assigned patrol duties in the North Sea. Although concerns had been expressed about the vulnerability of these old ships, no changes had been made. There was less concern about submarine attacks at this point in the war than later, despite the previous sinking of HMS Pathfinder. The morning of 22 September found a single U-boat, U-9 passing through the Broad Fourteens on her way back to base. Surfacing after taking shelter from a storm, U-9 spotted the unprotected British ships and moved to attack. 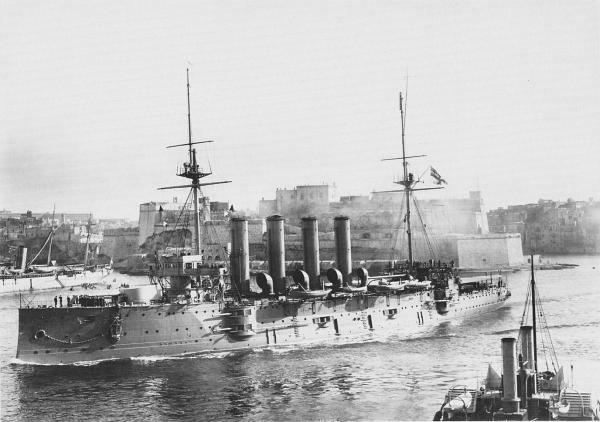 She fired one torpedo from a range of 500m, which struck Aboukir, flooding the engine room and causing the ship to stop immediately. 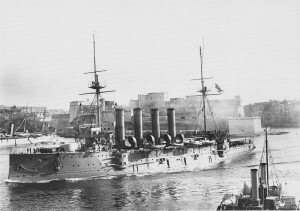 Aboukir capsized and sank within 30 minutes. It was assumed that the ship had hit a mine, and the other two cruisers closed in to help. U-9 resurfaced to observe Hogue and Cressy trying to rescue men in the water, and fired two torpedoes at Hogue from a range of 270m. Despite the ship opening fire on U-9, the two torpedoes struck Hogue and within 15 minutes she capsized. The last remaining cruiser Cressy was left to face U-9 alone but failed. Hit by two torpedoes, she capsized and floated upside down for 40 minutes before sinking. Witness reports of the time are inconsistent with survivors saying that anything up to 20 submarines where involved and that at least 2 were destroyed. In fact the only submarine involved, U-9 returned home the next day to a hero’s welcome with Commander Weddigen and his crew all receiving the Iron Cross. U-9 and Commander Weddigan would go on to sink HMS Hawke three weeks later with the loss of 524 men, over 40 of them from Ulster. Despite rescue attempts by Dutch merchant vessels, of the combined crew of 2296 men there were only 837 survivors. 1459 men, mostly part-time men from the Royal Naval Reserve rather than regular sailors, had died. For weeks after this catastrophe bodies of British sailors were washed ashore on the Dutch coast, a few men buried at cemeteries in Holland. 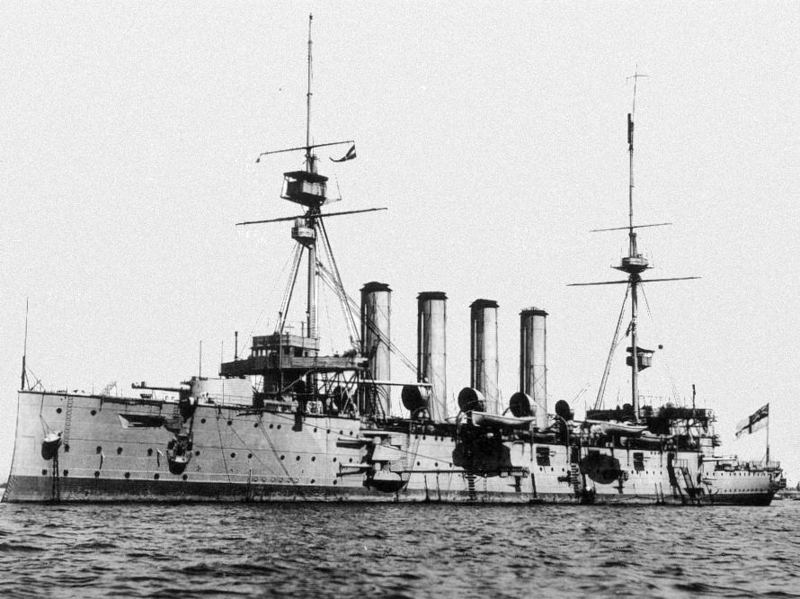 The disaster shook British public opinion and the reputation of the Royal Navy. There were reprimands and criticisms for those in charge. The reputation of the U-boat as a weapon of war was established. Sceptics in Germany fell silent and the Royal Navy never underestimated the U-boat threat again. In later years, it is estimated that 15,000 seamen fell victim to torpedo attacks. In this first major incident alone one tenth of that number perished. Only one of these men’s bodies was recovered for burial, most remaining where they drowned. They are remembered at either Chatham or Portsmouth Naval Memorials. The wrecks of the three cruisers still rest on the seabed, the mass graves of so many men, although these are not protected and it is alleged that the wrecks are being salvaged for metal. The anniversary on 22nd September will be marked at the Historic Dockyard, Chatham with a Drumhead service and fall of 1,459 poppy petals, one for each life lost. Research by Karen O’Rawe, Chair of History Hub Ulster. This entry was posted in News and tagged First World War, HMS Aboukir, HMS Cressy, HMS Hogue, Livebait Squadron, Royal Navy, U-9, Weddigan, World War One. Bookmark the permalink.